The government should give industry status to the Gems and Jewellery (G&J) sector to give it the much needed boost as the sector has great potential to create new jobs and contribute to the economy through exports, industry body Assocham said. Ahmedabad : The government should give industry status to the Gems and Jewellery (G&J) sector to give it the much needed boost as the sector has great potential to create new jobs and contribute to the economy through exports, industry body Assocham said. Releasing the study paper on Tuesday, its national general secretary DS Rawat said, the sector is going through a rough phase and needs the government’s attention. "Overall exports from gems and jewellery sector in India during the first 6 months of 2015-16 stood at $19.22 billion, which shows a decline of 5.59 per cent over the $20.3 billion exported in the same period last year. This sector may register an overall decline of 15 per cent due to global economic downturn," said Rawat. The suggestion was made in the study -- 'Gems and Jewellery: Contributing to Make in India' -- conducted jointly by Assocham and Thought Arbitrage Research Institute (TARI). "Granting industry status can give a fillip to investments and bring down costs of operation in this sector. It will also help build trust and faith in Indian brands in the global markets. We also urge the government to create a separate ministry or department for this sector," he added. As per the study, Indian Gems and Jewellery is one of the largest in the world with a share of 29 per cent in global jewellery consumption. This sector's market size is about 6 to 7 per cent of the country's GDP, and it is the second highest contributor to the Indian commodity exports with a share of 13 per cent after petroleum products (20 per cent). As per the figures of 2012-13, the industry recorded a total market size of Rs 4,63,000 crore with domestic consumption standing at Rs 2,51,000 crore and exports stood at Rs 2,12,800 crore. 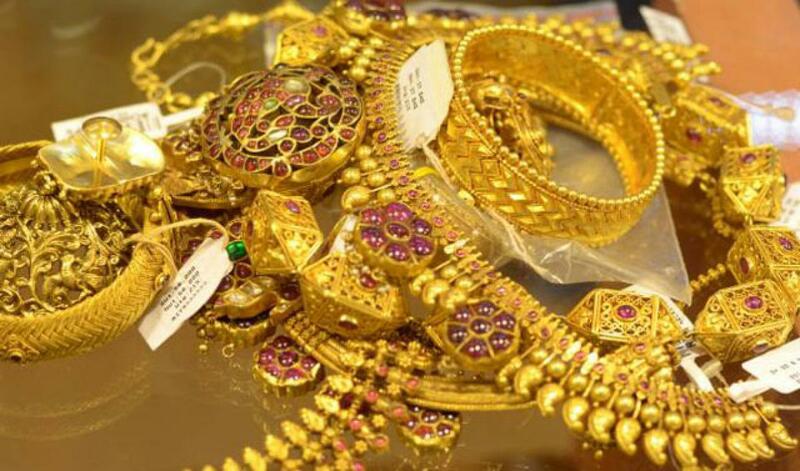 India exported gold jewellery worth $8 billion in 2013-14 and is expected to reach $40 billion by 2020 as per the World Gold Council, stated the study. It also pointed out that young workers are shunning this sector and moving to other lucrative industries in the manufacturing sector. G&J sector is the least paying industry in India, the study pointed out. "The average salary in this sector at Rs 2.52 lakh per annum is perhaps the lowest amid manufacturing industries like pharma (Rs 5.09 lakh), capital goods (Rs 4.49 lakh), chemical (Rs 3.97 lakh), automotive (Rs 3.77 lakh), metal and metal products (Rs 2.52 lakh)", it added. "The study revealed that this industry provides employment to around 46 lakh persons at present. It is expected that the workforce may rise to more than 82 lakh by 2020, adding more than 35 lakh new jobs," he added. Granting industry status would not only streamline the operation of this industry but also improve working condition of the workforce, as they would now be covered under various labour laws, opined Rawat.